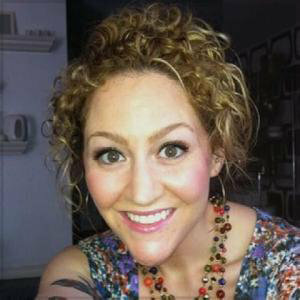 Home » Celebs » Aaron Kaufman, Gas Monkey Star's Married Life With Wife; Who Is She? American television personality Aaron Kaufman first brought his girlfriend to the spotlight in 2013, and the two have been inseparable ever since. And that, not surprisingly, gave birth to rumors that suggested that the two were living a peaceful married life in the shadows. Aaron Kaufman is quite known for his position as the former lead mechanic for Gas Monkey Garage. He is now known for his new television show, Shifting Gears with Aaron Kaufman that first premiered on 5 March 2018. Many assumed that the reason Aaron left Gas Monkey Garage was because he was a perfectionist and he couldn't meet the unbelievable deadlines for the projects. Born on 26 January 1982, Aaron Kaufman carried his passion for mechanics to the spotlight by appearing on the show, Fast N Loud in 2012 as Gas Monkey Garage’s lead mechanic. He worked at Richard Rawling's side as his top mechanic long before the empire existed. Aaron, aged 36, helped the show reach its success after a production company called in and Discovery bought the pilot in 2011. It was the same year when he left Gas Monkey to launch his own shop, Arclight Fabrication that specializes in Ford F-100s. 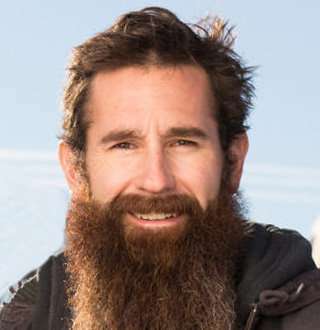 And it wasn’t long before Aaron had his own show, Shifting Gears With Aaron Kaufman which premiered on 5 March 2018 and dropped its final episode of the first season on 10 April 2018. However, the break was a short-lived one as Aaron kept dropping hints on his social media sites that he would be back with the second season of shifting gears pretty soon. He even uploaded the new season’s banner on his facebook. True to his words, the show eventually returned with its second season, launching the first episode on 25 September 2018. The former Gas Monkey star has been collecting rave reviews for the second installment of Shifting Gears and looks like he is in for a long haul with this one. While Aaron isn’t too open about sharing details on his dating life, he has brought two of his romantic affairs to the media. He was dating model Lindsay J, but after three and a half years together they parted ways in September 2012. But that didn’t gain as much attention as Aaron’s long-time girlfriend, Lauren Moore Knob. The couple has been together for half a decade initiating the ride of their relationship in March 2013. Look at them! Aren’t they adorable? They might have some haters surrounding their happiness, but they have entirely taken upon themselves to maintain their love. Adding to that, the fact that they’ve been embracing a long-term relationship had many people wondering if the two are married behind the curtains. Unfortunately, Aaron and his supposed wife haven’t taken the big step and are enjoying their live-in relationship, often traveling to unusual locations. But Aaron and his future wife do have two furry kids, Lola and Bastian. They had actually; Bastian passed away on 28 October 2018 and Lauren was more than willing to share the sad news on Instagram. You Don't Want To Miss: Why Zak Bagans Age 41 Is Not Gay | Married With Wife Now? Anyway, the couple has been quite content with sharing their grief and happiness to their fans while Aaron is busy with the new season of Shifting Gears With Aaron Kaufman so if they do get married in the future, there’s no doubt that they’ll share the big news as well.